Dirt, grime, algae, stains and build-up: if it’s on one of your outdoor surfaces, we can pressure wash and clean it. 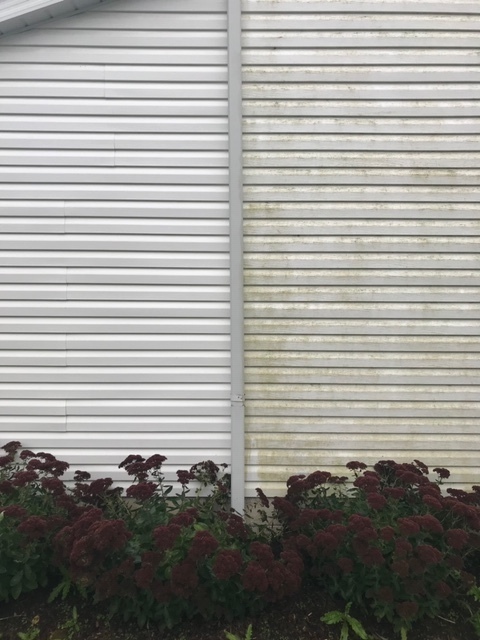 We’ve worked with clients all over Northeast Ohio to pressure wash siding, decks, concrete patios, driveways, sidewalks and more. Sure, you could hire one of the big companies to handle this chore (and lose out on great, personalized customer service), or a dude with a hose and a squeegee (and worry if they know what they’re doing). Some people even try to DIY this chore with a washer they rent from the local hardware store (and end up damaging old grout, windows and paint). The Squeaky Clean Company was founded to make sure that the pressure washing job you need done is done right, by people with years of experience and the right tools, and with the best customer service to boot. We started our business because we wanted to make sure that our neighbors, friends and customers got the squeaky-cleanest results by the most knowledgeable and professional experts around. If you're living in the Canton, Akron, or Cleveland area and need your deck washed, house power washed, or have debris built up in your sidewalk and driveway, contact us today for a free estimate.